Not so long ago, I wrote a post about how George seems to enjoy coloring himself from head to toe in markers. And I don’t mean just a little bit. 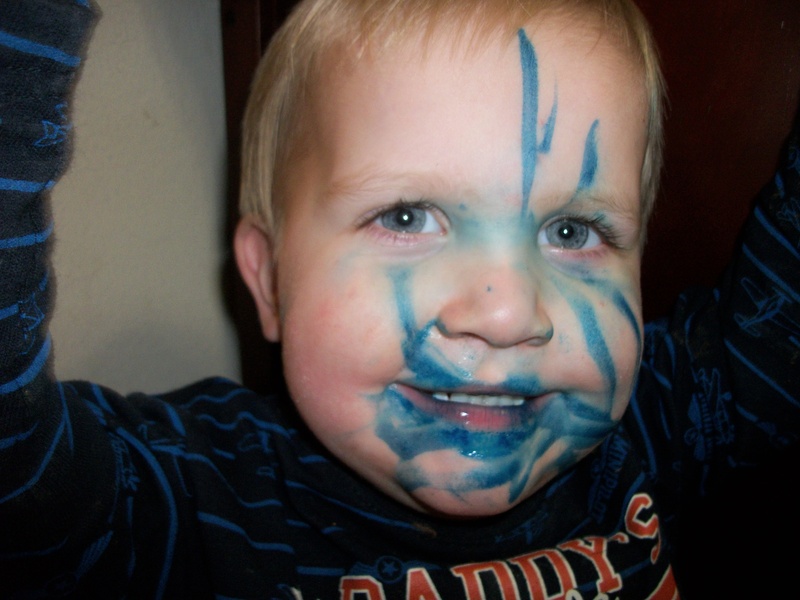 For Halloween, we'll be going as Smurfs. Well, I may have stumbled upon the answer…it’s genetic. 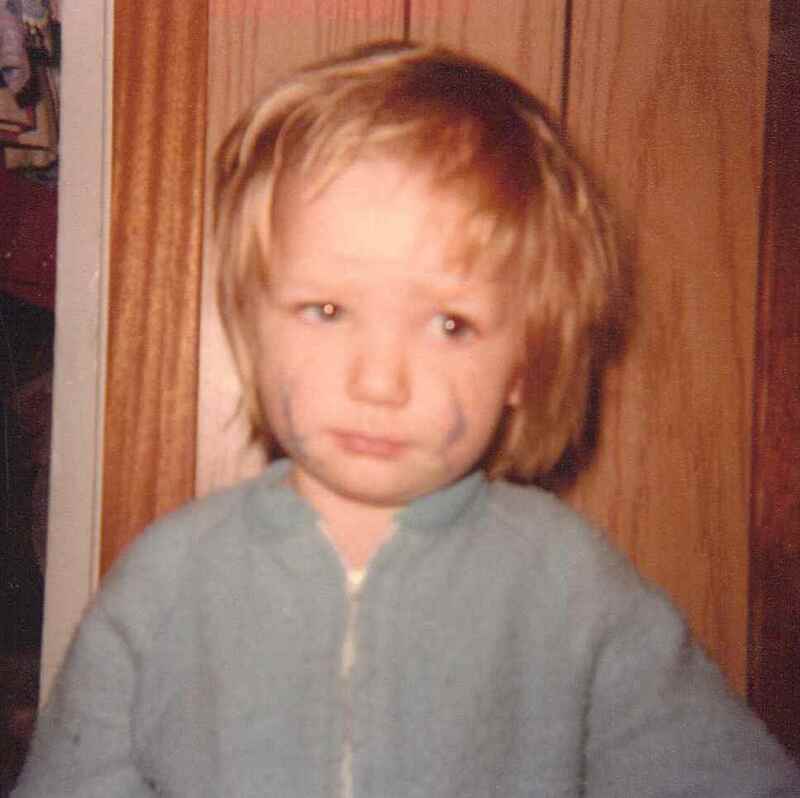 It appears as though 30-some years ago, this little blonde-haired beauty decided that she rather enjoyed coloring herself as well. Although, I like to think that I pulled off the look a little better. Yep, he came by the habit honestly. Who would have thought this scene would be replayed 30 years later? Well, and on a little grander scale. But that’s how it works, isn’t it? The next generation tries to find a way to do it bigger and better? This entry was posted in Boys, farm fun and tagged children, farm life, fun, future farmer, life on the farm by wagfarms. Bookmark the permalink. Gorgeous story – thank you for sharing with us!